Vanessa Couto Johnson's "Try the yen relish," a sixteen- page prose poem sequence, was released in a first BoxSet from Oxidant | Engine in early 2018. Softblow, Thrush, Field, Blackbird, Cheat River Review, Cream City Review, and other journals have featured her poetry. Her third chapbook, speech rinse, won Slope Editions' 2016 Chapbook Contest; her second chapbook is rotoscoping collage in Cork City (dancing girl press, 2016); and her first chapbook, Life of Francis, won Gambling the Aisle's 2014 Chapbook Contest. A Brazilian born in Texas (dual citizen) and two-time Pushcart Prize nominee, she is currently a Lecturer at Texas State University, where she earned her MFA. Poetry. The speaker of these poems could be described as gathering various stimuli into sentences of empirical collage, unafraid of mingling with pun and twisted idiom as the sense of place, time, and other relations of self to other evolve. 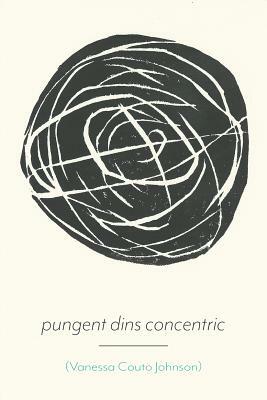 The sequence title's "Pungent" and "dins" both reflect the level of jarring stimuli explored. A sense of humor and play while acknowledging the serious (family, health, food, science...) is essential to this work (and, indeed, essential to the human condition); the leaps are meant to reflect how the brain confronts the present with memory, a layering "concentric" to self.